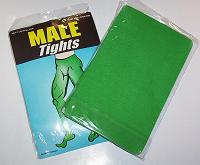 I like green tights too and can think of quite a few people whose politics I don’t care for but would like to see in tights. Very interesting however and you will be my quota for news of the world today as I have been forbidden to watch the news or respond to people on the internet that will lead to an argument. so keep me posted……Chet! I find the persecution of this man vengeful, over-the-top and frightening, and though he may be no Robin Hood disseminating information should not put him on par with Bin Laden FFS!